When Kate left Boston a year ago for a coveted spot on a research team across the country, she thought she had severed her ties to Boston–and to Ian–for good. 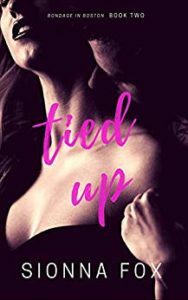 But when she returns to finish her dissertation and make a fresh start, she finds the cool, in control silver fox she thought she knew has been replaced by a different man–one she might want to get to know. Anarchy to the north, a highly controlled military state to the south, and the girl who will change everything. Global warming has divided the continent. 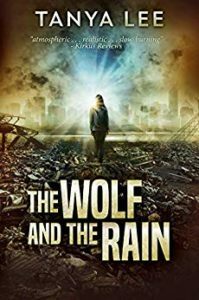 Samarra, a soldier from the barren, autocratic South, has fled to the Barrow, a northern city where the only things growing faster than the city’s piles of garbage are extremist cults and violent gangs. Her sole objective is survival: to stay hidden and stay safe. With jobs in short supply, Samarra counts herself lucky to find work with the Vauns, one of the Barrow’s most powerful and dangerous families. As she learns to navigate the beauty, the horror, and the magic of the lawless city, she finds herself living in the shadow of a missing woman—the beautiful and mysterious Raina, who worked for the Vauns before her. When the trail, long thought cold, heats up, Samarra must decide whether her newly gained chance at freedom is worth sacrificing for a ghost.